A test. We all receive them. My most recent came this past week. I returned from my travels to the confirmation I feared. My hard drive was corrupt; data unsalvageable. Yes, I back up occasionally, but my most recent drafts, chapters and some photographs would be lost. Not easy to swallow. Then I tried to connect my iPhone to my repaired laptop, but it didn’t recognize the device. 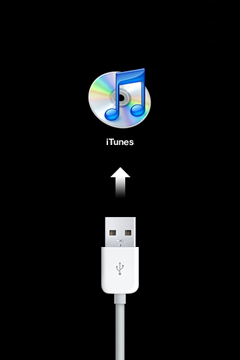 After a new install of iTunes somehow my iPhone went into a “Recovery Mode,” and needed a reinstall. What happened? No, please not again? I immediately set up an appointment at the Apple Genius Bar for a consultation. I needed to go to the lab, I wanted the best chance. There in person, I learned the news. I needed to restore the iPhone and all media would be lost. All media. No other solution (from Apple). More than 600 photos. F.
First the hard drive, now the iPhone. Certainly, I chose Apple because of its creative vibe, but I also selected the products because they worked. Apparently, I owned a sour apple. And I was very sour. In fact, because of my mood, I decided to walk home in the rain. I needed it. I needed to think, to unwind. I needed to come to grips with the situation. On that walk, I started pondering my lessons learned. –Listen to your Mother. Ah, you always come back to this one, but truthfully, she constantly told me to “Craig, make sure you backup your work.” After transitioning careers and becoming a writer, she wanted to make sure I didn’t lose any of my work. I did back up my files, but not often enough. I will now. –Organize your Photos. I normally just downloaded photos (especially pre Mac) into random folders with haste and placed a few favorites on the desktop for easy access. Now, after years, I am not sure what I have? Or even exactly which photos are properly backed up? I always thought to organize better. I will now. -Let go. You can’t take it with you. No, I can’t. None of us can. 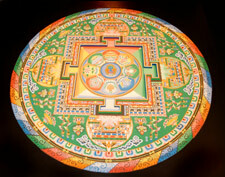 And recently I viewed pictures of a Tibetan Monk Mandala ceremony. I don’t view my lost work in the same way, but I do need to learn the same lesson – letting go of what I created. It’s gone. Continuing on my walk, I stopped for a moment. I grabbed my journal and a pen to write down what I believed a brilliant sentence for a future story. I do this often, but this time standing there, under the cover of New York City scaffolding, I learned another lesson. Perspective. Right at my feet, slept a homeless man. I opened my wallet, pulled out a bill and softly placed it in the cup. And, now slowly, I am becoming more and more ok with my new situation. This was and is a test. So this Sunset Sunday might mark the end of daylight for some of my files or photos, but not to the Stay Adventurous mission. No sir. 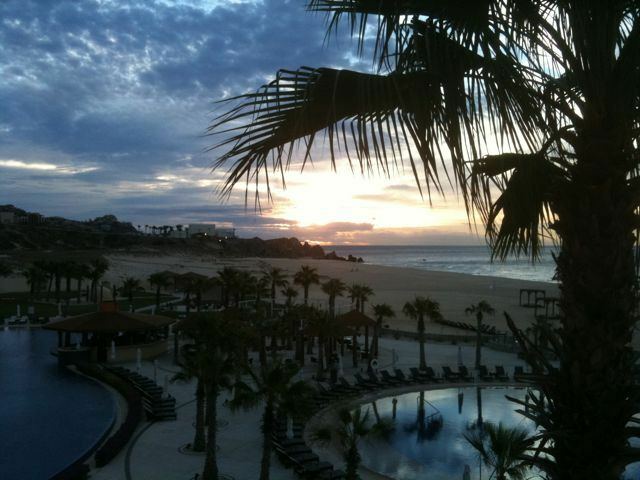 And to reverse the flow, this week I decided to leave you with a picture of a “Sunday Sunrise.” I took this photo during my days at the Pueblo Bonito Pacifica in Los Cabos. Also, next week, I’ll return to the “Sunset Sunday“and definitely stay tuned for other published work (via twitter) and a new blog post. Sorry to hear about your data loss. Check out this online backup service. http://mozy.com. Be well. I am so sorry you’ve had to go through this. Almost nothing worse for someone who deals in writing and digital imagery. I can’t offer advice for getting your iPhone out of the mode it is in. But I can tell you that “Time Machine” which is built in to Macs has really helped me a lot to make sure my data is always backed up. And it is so easy to use. Maybe that will help with your laptop at least. Also, do the iPhones have a card slot? My LG cell phone has wigged out on me many times and every time I just pull out the mini SD card & my images are still safe. Wish I could help more. P.S. Impressed by your positive attitude!! My MacBook crashed last year (after finishing some creative writing pieces I was really proud of as well as work for my 120+ page thesis project). I sat sobbing in the Apple store for hours, hoping that a genius would be able to retrieve my work and get the computer to start working again. I actually still have the drive bundled up in static free wrapping, safely tucked away, just so that if I ever have extra $$$ to pay a specialist to retrieve the data -which is most likely impossible, they say – I can try to do it. I rely on my Time Machine (Kirsten mentioned it above as well) to back me up now. It is great and if I don’t back up for some reason, it reminds me to do so. Good luck and thanks for sharing your experience with us. @Melissa, wow I feel your pain. someday I hope the genius that exists on that hard drive finds its way out into the world. Also, as an update, I am not sure how or why, but I am asking no questions…. somehow my iPhone restore actually had the photos – thru iTunes? I was just so elated, I could not even tell you how or why. Apps lost. Music gone. But the Photos – a big save. Really love this post. Found it so heartening that you chose to walk home in the rain because that’s what you felt, you needed it. So often we do things to subdue/change/dissipate our emotions instead of turning in to them and seeing what’s there. There’s so much power in that practice of turning in. Certainly seems like you found that power as you transformed what could have been left at a crappy day into a lesson, a growing moment and a beautiful post to share. Am laughing as I write this because your post makes me think of what I lost when I fell off the roof, especially with regards to the brain injury I suffered. Everything you said rings true for my recovery. I’m listening to my mother (get rest, eat well, etc), learning to organize more and write things down, and letting go of who I was before the accident. I’m also doing everything I can to work at rehabilitation. Jackie, thanks for sharing… Events do change us, some more seriously than others. I am glad the story rings true for you, and i continue to wish you well with your recovery. Plus, I look forward to a coffee in Byrant Park again soon. And although I’ll admit, I love to walk in the rain, when we sit outside next, let’s make it a day filled with sunshine.